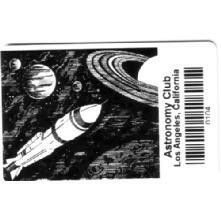 Neuton Data Systems - School Library Automation - Card 206 - Outer Space - 100 Cards . 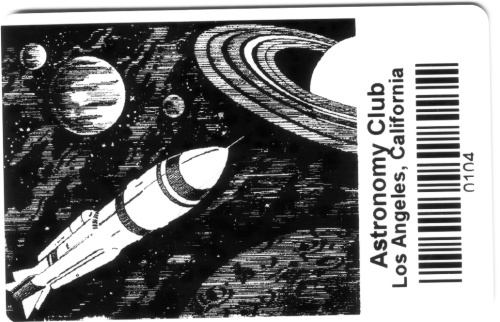 Astronomy Club - outer space club - rocketry club - membership card. Black and White, single sided cards - Reverse is blank. Only 28 cents per card + shipping - NO SETUP CHARGES (sold in multiples of 100 cards) We Do NOT charge extra for Barcode printing, that is included for FREE!